It’s still trending 90 degrees here in Charlotte, but I bid summer adieu over two weeks ago. Fall is my favorite season. I love the dark hues, light layering, pumpkin scented candles. So I’m excited to introduce my latest Count Me Healthy journal bracelets inspired by all things autumn. The Ladybug Collection brings the warm tones of fall leaves (gold and rose gold) and combines them with cooler weather’s go-to wardrobe color, onyx. And to add just a bit more shine and balance I added clear crystals to alternate with the onyx crystals every other bead. 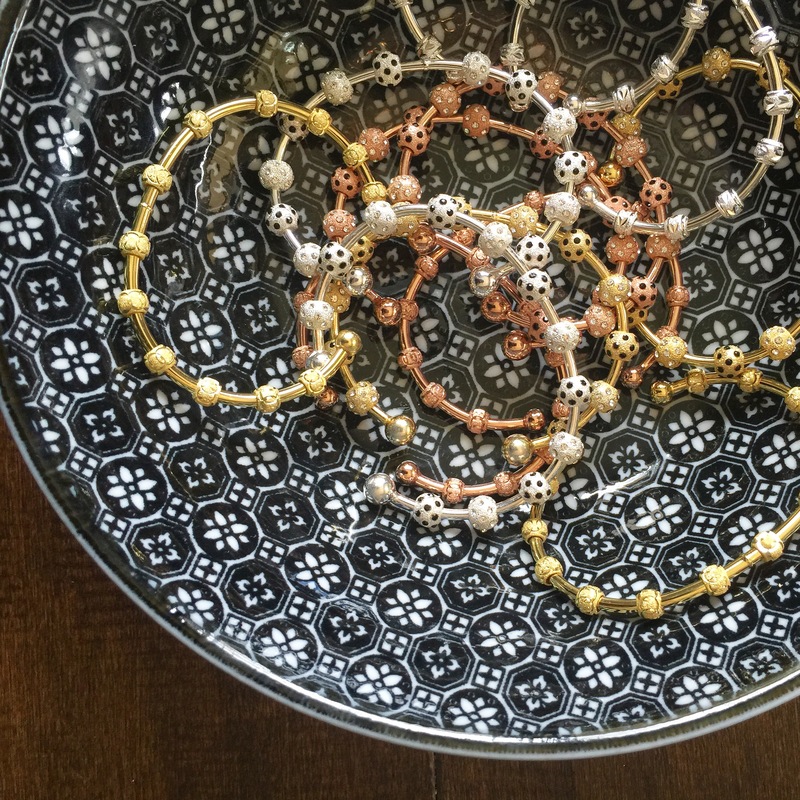 Like all other Count Me Healthy bracelets they are both lovely to wear and helpful. Move the beads to keep track of goals like glasses of water, fruit and vegetable servings, pounds lost, workouts per week, caffeinated beverages (for fall it’s pumpkin lattes), snacks and more. The beads on the patented bracelets stay in place unless moved by you. A way to keep you stylishly mindful. Need a little guidance on how many glasses of wine you’ve poured? Rose gold Ladybug bracelet and Formation pinot noir (one of my recent faves).